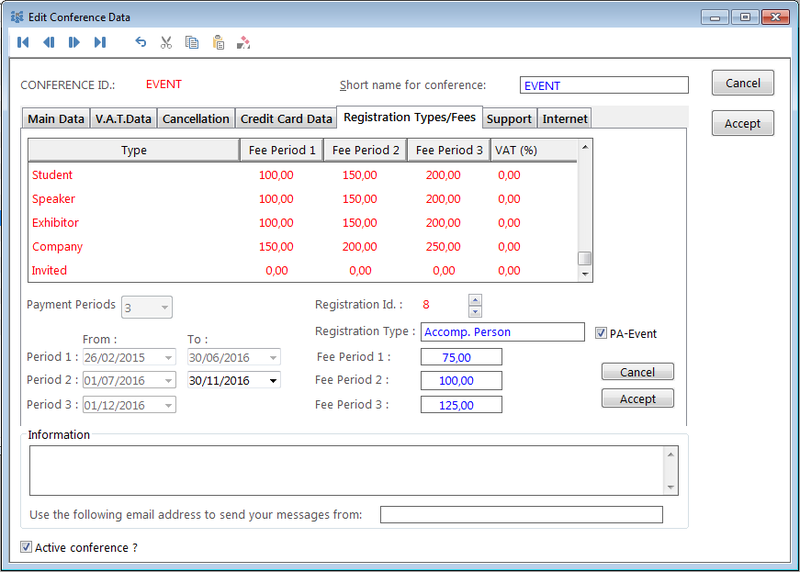 With PA-events you can indicate if an event is especially for accompanying persons. When the participant chooses such an event on the internet, he cannot finish the registration without filling in an accompanying person. If the participant doesn’t choose a PA-event, he cannot add an accompanying person. You can adapt the number of accompanying persons which the participant can register. For example if the participant chooses 3 accompanying persons, he cannot finish his registration without adding 3 accompanying persons. This check is only on the internet, not in Eventure. 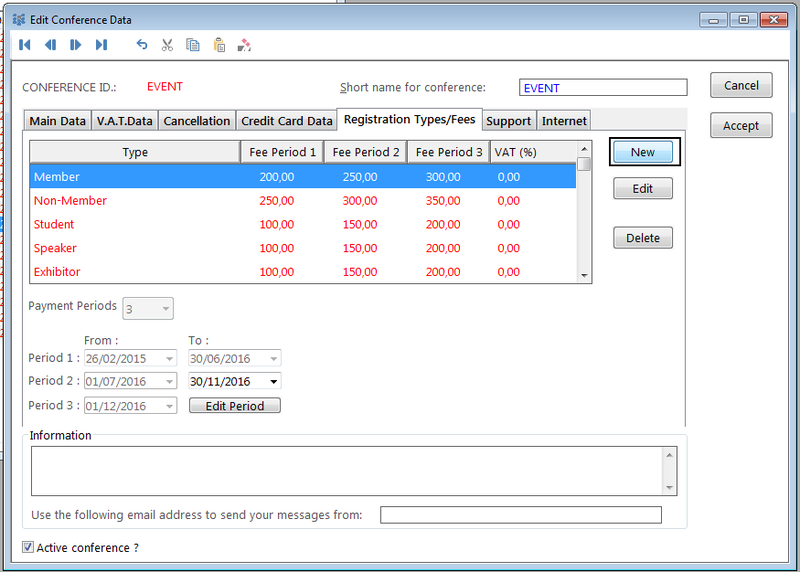 In the main module go to the conference and choose the tab ‘Registration types/fees’. Fill in the name of the event for example, ‘Acc. person’ and also the amounts for each period. Check the box ‘PA-Event’. Upload the conference to the internet or do a reload of the conference if it is already on the internet. Click here to setup the PA-Event on the internet.